Hermetic junction boxes are used in surface wiring systems and especially in places where high protection degree is required. 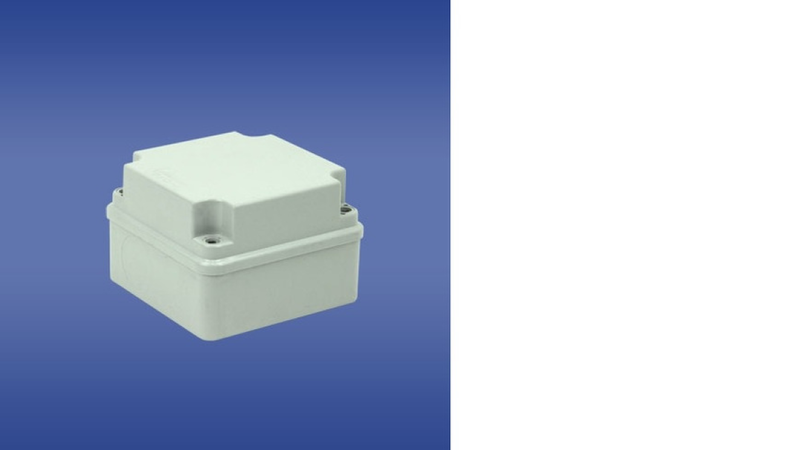 The range of hermetic junction boxes covers 45 versions which differ in sizes, structure, accessories and in the way of wire insertion into the junction box. Their main feature is an easy construction consisting of the casing and its cover. The casing is available in three versions: the version with weakening for glands, the version without weakening and the version with flexible glands which have the function of a cable gland for different wires. The next element of the «PH» junction box is a cover available in two heights. Both elements (the casing and the cover) are connected by screws made of plastic, which ensures solid and anticorrosive connection. The hermetic box is equipped in a hermetic seal which ensures protection against dust and high protection degree (IP). Additionally hole plugs were applied as an element of insulation. They protect protruding parts of electrical elements which are inside the box. It can also be equipped in a terminal block, mounting plate or a DIN rail. HERMET box series includes «PO» round installation boxes which are usually used in single phase installations. They are available in three sizes and are equipped in flexible cable glands. The round junction boxes consist of the casing and a snap-fit cover that allows fast and comfortable closing and opening of the box. High protection degree (IP 44) ensures the right protection against humidity.